Welcome to our website, we appreciate Friends far and near. Both friends of the Old Kirk of Glenbuchat and the upper Donside Parish congregation are glad to welcome people to this community and its church building. the collection of money for the foregoing. 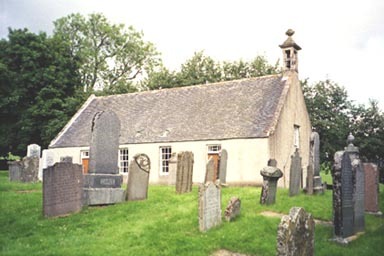 Working in close co-operation with Aberdeenshire Council , and with the local Church of Scotland congregation, the Friends in the Summer of 2001 completed the restoration of the church by carrying out internal redecoration, re-covering of the pulpit and returning the Glenbuchat war memorials to the church. In the period 1999-2000 Aberdeenshire Council had undertaken work on the roof and external harling along with extensive re-plastering of the interior. You can support the work of the Friends by making a donation or becoming one of the Friends by subscription. 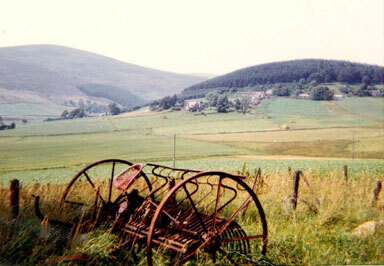 Glenbuchat as a parish dates from 1473 previous to which the Glen formed part of the huge mediaeval parish of Logie in Mar. At that time the parishioners had to cross the Don to worship at Logie Kirk and one Easter some were drowned in attempting to cross the river. In response the Bishop of Aberdeen erected Glenbuchat into a parish with the church being dedicated to St. Peter. The oldest part of the building, the masonry on the lower parts of the walls is all that remains of the earlier church. It has twice been rebuilt, first in 1629 and then around 1792. It is this combination of styles and the lack of the subsequent major alteration that makes the church unique and typical of a Scottish Kirk of the 17th and 18th centuries. It is the north side and some of the gables that remains from the 1629 rebuild with the south wall being mostly 18th century. At the apex of the west gable there is a stone bearing the date 1629 and the initials of Andrew Kerr the minister at that time. The two gable windows belong to the late 18th century while those on the south side are older and have been recycled from another building. The belfry is in Kildrummy stone and was originally on the west gable but was removed to the east end by Kildrummy mason, David Wood around 1857. The bell is dated 1643 and has the name of Dutch bell-founder Peter Jansen. At the southwest corner of the church is a ledge for a sundial. The importance of the church is that it preserves internal arrangements of the 18thcenury. The walls are plastered, as is the coved ceiling. Between the pews the floor is cobbled and the alleys are laid in Correen stone. The pine pews are arranged on three sides of the pulpit which with its sounding board is mid-way in the south wall and is lit by two skylight panes in the roof. In front of the pulpit is the precentor's desk with a double fork for the precentor to display the card announcing the tune. Most of these cards are still preserved in the church. The pews on the north side and the manse pew east of the pulpit are of the box type. Those on the north side each contain small narrow tables and the partitions between these can be lifted out allowing for the tables to be set together for Holy Communion. Holy Communion was celebrated in Glenbuchat once per year around the end of August or the beginning of September. The annual service on the third Sunday in August keeps to this tradition to which all visitors are welcome! At the east end is the Laird's loft which was erected in 1828 and displays heraldic arms of the Earl of Fife. This is the work of Ebenezer Ramsey and is of Mar Lodge pine wood. Bill and Jean Thomson’s family, Grandson's baptism which took place on 10 October 2008 in the Auld Kirk. 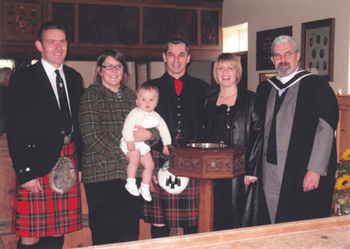 Pictured from left to right are Roland Stuart (Godfather) (his grand parents farmed at Baltimore, Glenbuchat), his wife Louise (Godmother) with our grandson Fraser Alexander Patience, our son in law Darren Patience and our daughter Anna and the Rev Dingwall who carried out the ceremony.